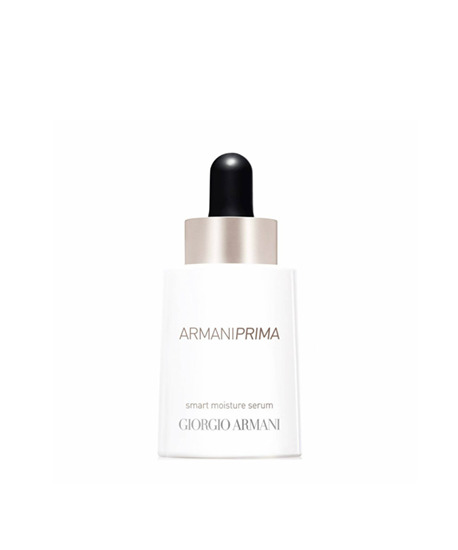 The Smart Moisture Serum delivers a targeted concentration of moisture to the different areas of the face, depending on their needs, for skin that feels comfortable all day long. Its fresh formula contains hyaluronic acid for skin and crimson sea weed, resulting in skin that is luminous and steeped in moisture. Rapidly absorbed, the incredibly lightweight texture leaves a bare-skin sensation and makes skin the ideal canvas for easy application of make-up that lasts all day. Massage 2 drops of hydrating serum with circular motions onto whole face from center outwards & upwards including the neck.